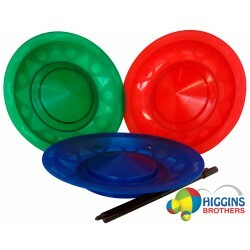 HB Juggling Rings, Glow Juggling Rings and Spinning Plates have been precision molded by Higgins Brothers since 2002. 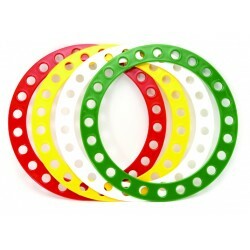 Our juggling rings have comfortable rounded edges and are easy on the hands. They are extremely durable even when bounced off the ground and glow under UV light. Spinning Plates are one of the easiest juggling props available. 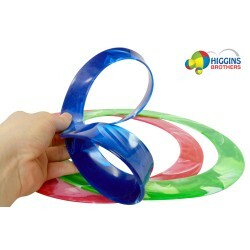 It is a skill toy that can be taught at a very early age and therefore a great confidence booster. 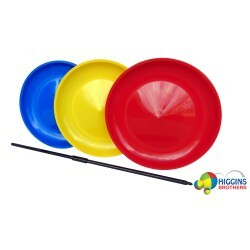 Each spinning plate comes complete with a 2 pc plastic handstick. Our spinning plates are very durable as well. Wholesale Juggling Props. Rings & Plates There are 6 products. Henrys Spinning Plate - 9.84"